Not long ago I asked, rhetorically, whether or not I could reduce to five or six watches. (Well, I said five, but as every good WIS knows there’s always room for an additional beater 🙂 ). The answer, it appears, is “yes” – the mini-cull is now complete and aside from making a decision on whether the PAM337 gets replaced by an Aquanaut I’m finished with buying and selling. 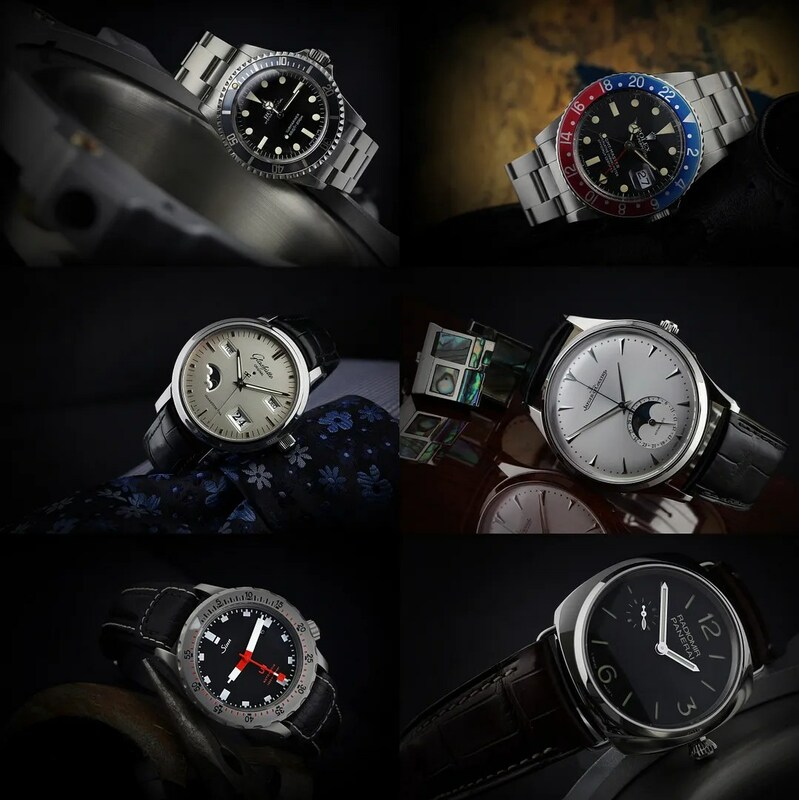 In fact, before today it was definitely going to be the Aquanaut, but the truth is that these 42mm Radiomirs are so sublime on the wrist that I may just put that acquisition on a very long hold. Anyway, this is what I have left, and it’s what I’m staying with. The only changes from the original plan are that I’ve kept the JLC MUT Moon instead of the Speedy (some will say I’m mad, but others will agree with the choice made). In fairness, I’ve also kept a more recently acquired Sinn U1. It’s such a fantastic watch for the money, and it’s also the best everyday watch that I’ve owned and perfect for use on holidays, both on the Bach and in the pool. It’s just not worth selling it, frankly. This entry was tagged Glashutte Original, Jaeger LeCoultre, Panerai, Rolex, Sinn. Bookmark the permalink.